Anyplace Control 6.0 無料ダウンロード - Easy-to-use PC remote control software for individuals and businesses. Control your computer securely and reliably from anywhere in the world no matter how many miles away you are going. Accessing your PC remotely works in a few very simple steps and does not require complex setup or expert network configuration whatsoever. You simply create an account with Anyplace Control, and assign a name to your computer. When you need to access your machine from a remote location, you simply enter your computer name into the small and lightweight client application, and Anyplace Control manages the rest. No need to configure network settings on the remote PC, and no need to worry about the firewalls, routers and other obstacles! 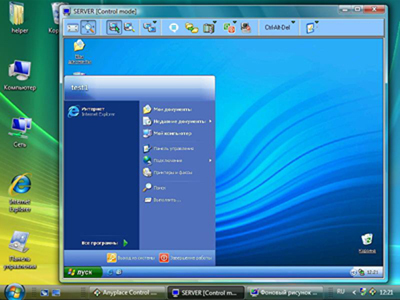 With Anyplace Control you can see your computer's desktop and control your PC with keyboard and mouse as if you were there, or use Drag and Drop operation to copy files between your local and remote computers. Anyplace Control uses state of the art encryption and latest security approaches to protect your home computer from remote attacks. Finally, Anyplace Control saves your network bandwidth by consuming minimum traffic, allowing the fastest response times even on slower connections.